GEO Mimi circle lenses & cosmetic colored contacts are the hype in Japan and Korea! These colored contacts naturally enlarge the iris, producing a brightening and enlarging effect on the eyes. 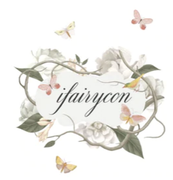 Shop over 200 over styles of Geo Lenses at Ifairycon! Whether you're looking for color, style or impact this is the range for you. From 1 tone to 3 tones colored contact lenses to futuristic Animation and Crazy styles, your Anime and Cosplay collections will be truly be complete with a pair of these lenses. Endorsed by the beautiful Japanese model Tsubasa Masuwaka, Geo is a well-known brand worldwide. The Princess Mimi design in particular have maximum cuteness, giving a more doe-eyed look coupled with stunning color effects in natural light bringing out your beauty naturally.